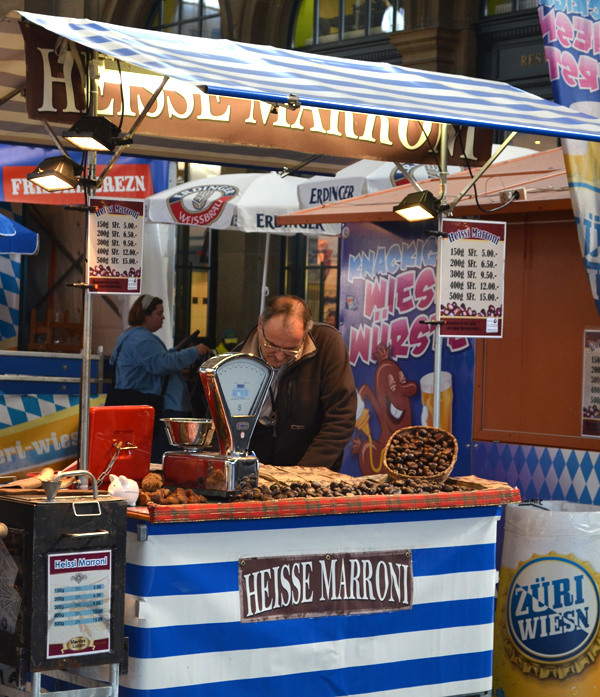 Chestnuts appeared to be very popular in Switzerland. I first noticed them for sale from vendors on the streets. They roast them right there and you buy them in a little paper sack. I even found some lying on the ground in Thun. 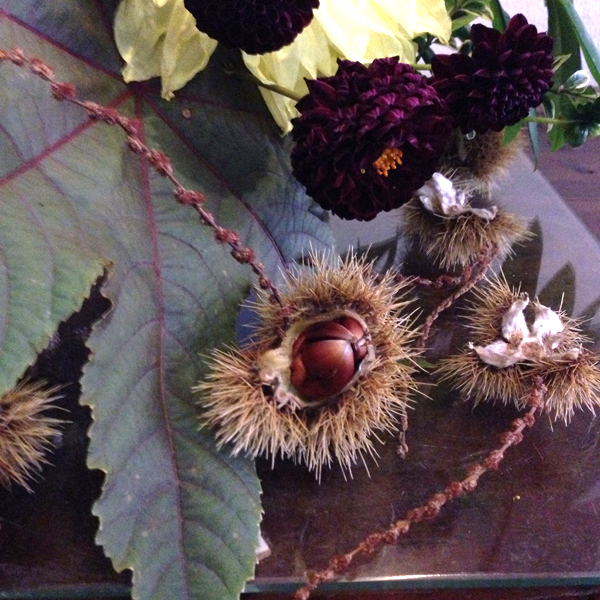 This flower arrangement in the Oberhofen Castle included chestnuts which made me laugh. My parents have a few chestnut trees and those burs are deadly (not literally). So sharp and if you step on one... OW! 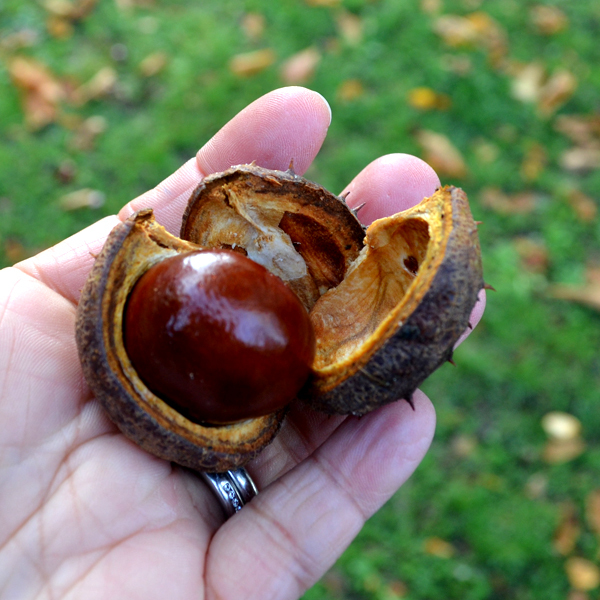 Ahhh, those you found lying on the ground are horse chestnuts (called conkers) and are inedible! 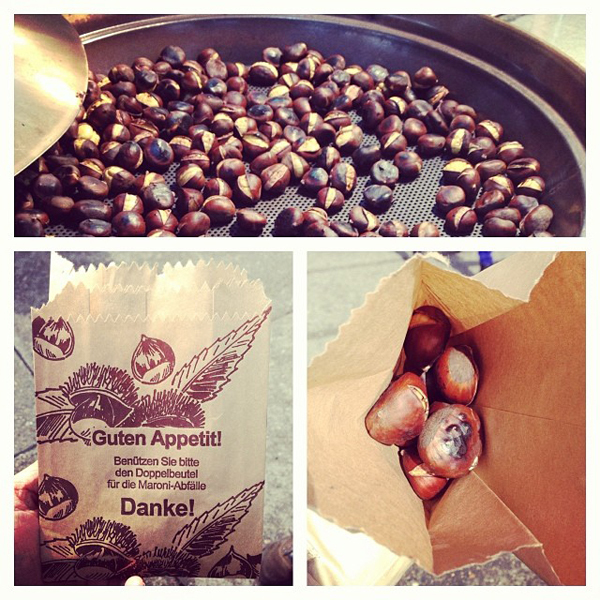 Sweet (edible) chestnuts come from a very different-looking tree and can be told apart by the carapace on the outside of the nut - sweet chestnuts have long, softer spikes whilst horse chestnuts have sparse and shorter spikes! Tash - we saw several cafes serving a dessert that looked like spaghetti but suspected it was an extruded chestnut paste. Is that similiar?